Yechiya Ya’akov Dahari’s family kept the Torah in Yemen even under the most trying of circumstances. A metal worker who raised nine children through poverty and prejudice, he felt he was tough enough to handle the deteriorating conditions. But when kidnappings and attacks became a daily worry, more and more of those close to him made aliyah. He soon found himself among only 60 Jews remaining in a country that his people had called home for thousands of years. When Federation partner The Jewish Agency for Israel approached him about what would be the final mass exodus of Jews from Yemen, he made sure he was aboard. Now in Israel, the family isn’t worried about losing its unique heritage. Yechyia Ya’akov’s son, Rabbi Shlomo Yechiya, smuggled their community’s centuries-old Torah scroll on the voyage. 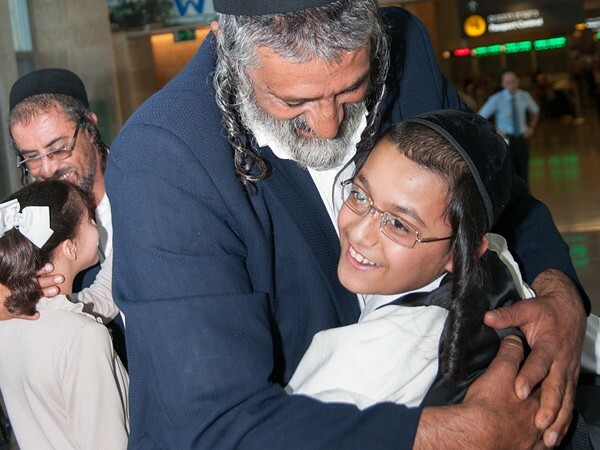 Though threatened daily in Yemen, the family is confident that both the Torah scroll and the community that has diligently kept it through untold hardship are now home safe in the Jewish State.